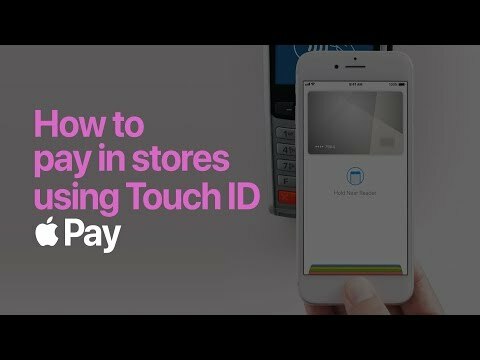 In preparation of the iPhone 8 release tomorrow (or today in some countries), Apple on Thursday posted a trio of videos to its YouTube channel and website documenting the process of adding a card to Apple Pay and using it with Touch ID. Produced in the same vein as recent iPhone 7 how-to tutorials, Apple's latest shorts feature quick-moving text, graphics, screenshots and video set to a catchy tune. As many viewers will watch the video on an iPhone, Apple crafted and posted the content in a mobile-friendly vertical format. The first tutorial, "How to pay with Touch ID on iPhone," runs through a series of steps that might be unfamiliar to new iPhone owners. First, Apple notes users need to look for the appropriate Apple Pay or NFC sign denoting a retailer accepts the company's version of touchless payments. Next, users simply rest their finger over Touch ID and hold the handset over a compatible reader. 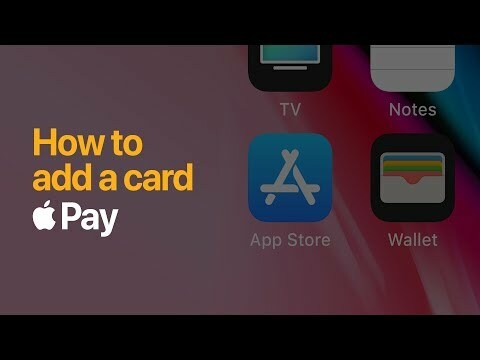 A second video, titled "How to add a card on iPhone," runs through the process of adding a credit or debit card to the Wallet app in iOS. Opening the Wallet app, users simply tap on the "+" icon in the top-right corner of the screen, use iPhone's rear-facing camera to capture an image of the target card and follow onscreen instructions for entering security information. Once the card is authorized and provisioned, it will automatically show up as a payment option. A third video covers the upcoming Apple Pay Cash feature set to debut in iOS 11 later this fall. In its how-to, Apple notes users can send peer-to-peer payments using iMessage and the revamped app drawer. 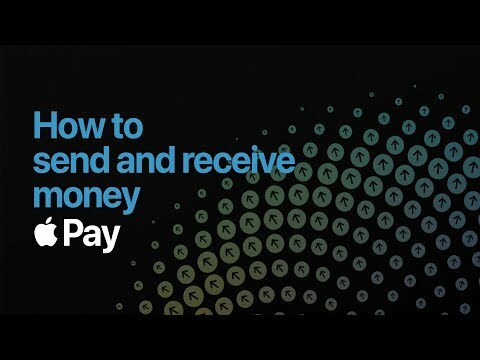 Tapping on the Apple Pay app for Messages brings up an Apple Pay Cash UI in which users can enter a desired cash denomination to send or request. Selecting "Pay" and authenticating with Touch ID sends the amount, which ends up in a recipient's Apple Pay Cash card. Aside from YouTube, all three how-to videos are available for viewing on Apple's Apple Pay webpage. Apple Pay Cash seems to be MIA. Some ATM lobby requires you to swipe a credit card or debit card to get in after hours. Today I found out I can use the Apple Pay on my Apple Watch to open a BoA ATM lobby door. Super convenient, and use Apple Pay to get money from the ATM too. It is really great. Curious: Will these peer to peer transactions be considered cash advances that are charged interest from day 1? Or are they like purchases from a merchant? Will one of the parties involved have to pay a 3.25% transaction fee? Does the recipient get the money deposited into their credit card account or a checking/savings account? I want more details. Also, are these transactions reported to various governmental bodies to conform with current banking and anti-money laundering / anti-terror / anti-drug trafficking laws? Pretty sure the answer is “yes” that this is all reported. The only relatively anonymous method of conducting oneself in our continually monitored surveillance society remains with the use of cash only. It's so old fashioned to be having to fish a phone out of your pocket and stick your thumb on it -- just to pay a stupid grocery bill! I was under the impression that if you use a debit card for the peer to peer transactions there will be no fee. Using a credit card would involve fees but I'm not sure how much and who they would affect (although I imagine it would be the person making the payment that would pay the fee). You are most likely correct about using a debit card, other than normal fees your bank charges for transactions. What I am curious about though is when we use a credit card. Tapping your card on the terminal might be the easiest of all. When my credit card was hacked I asked my credit company which was more secure: ApplePay or their chip card? They told me ApplePay was more secure. I now keep my card in my pocket and try to only shop at those places that accept ApplePay. Most specifically, I avoid Target which was the first one where my personal credit card info was stolen -- but who STILL refused to accept ApplePay. Obviously their profit was more important to them than securing my private financial information.